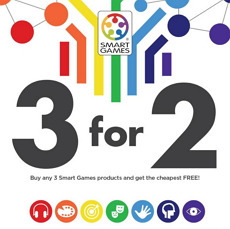 3 for 2 - Buy any 3 smart games products and get the cheapest FREE! Toy Kingdom is your one-stop for a world of toys suited to various ages and in various categories. Get the latest catalogue to stand a chance of enjoying money saving deals. Toy Kingdom stocks a variety of toys in various categories and believes in bringing fun, entertainment, safety, education and convenience to families. Toy Kingdom is one of SA shoppers' favourite toy stores Cape Town as well as other provinces in South Africa has to offer. Toy Kingdom South Africa can be found nationwide, with some branches including Toy Kingdom Menlyn, Toy Kingdom Tygervalley, Toy Kingdom Cresta, Toy Kingdom East Rand Mall, Toy Kingdom Centurion and Toy Kingdom Sandton just to name a few. Toy categories include outdoors, party supplies, games and puzzles, building sets and blocks such as the Toy Kingdom Lego sets, as well as dolls & stuffed animals, electronics, speciality toys, pretend play & dress up as well as vehicles & remote control and video games. 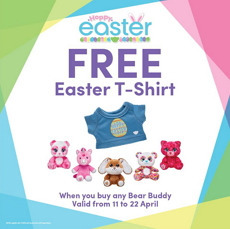 Toy Kingdom also features great specials throughout the year, so have a look at the latest Toy Kingdom catalogue and enjoy money saving deals on your next purchase. Toy Kingdom online makes for a more convenient shopping experience and brands sold include the likes of Alex Toys, Lego, Leap Frog, DC Comics and Hello Kitty to name a few. Toy Kingdom is part of the SM Group, the very first Toy Kingdom store opened in 1991 in the SM Megamall Manila, Philippines. The store was founded by Henry Sy, Sr. an entrepreneur as well as an active driving force behind the business' success. There are several Toy Kingdom stores located throughout the world and several within South Africa. Toy Kingdom is one of South Africa's leading toy shops and stocks many quality toys for boys and girls. 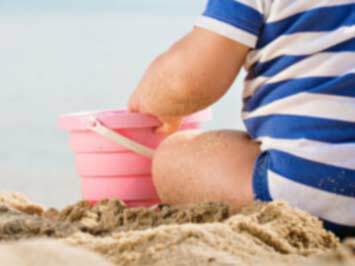 There are several types of toys to choose from including categories tailored to outdoors, pretend & dress up, arts & crafts, hobbies & collectables, movies, electronics and stuffed animals to name a few. Toy Kingdom stores can be found nationwide and is part of an international business group. Apart from the many branches, customers can conveniently shop from their homes with Toy Kingdom online and enjoy efficiency and convenient payment methods like Visa, Credit Card, American Express and delivery service. Customers can also sign up for the Toy Kingdom Royalty Card to receive rewards and other exclusive benefits as a member. Signing up for the card is simple via the Toy Kingdom online website or in-store. Do you want to receive more Toy Kingdom deals by email?